With this week's Rewarding Times we have another exclusive, brought to you by Wildeside in Cabinteely. Wildeside is delighted to present 5 course, fish and shellfish tasting menu – especially crafted by Alan O’Reilly (previously of Alexis Bar & Grill, Dun Laoghaire) for Rewarding Times, paired with specially selected wines supplied by Boutique Wines. 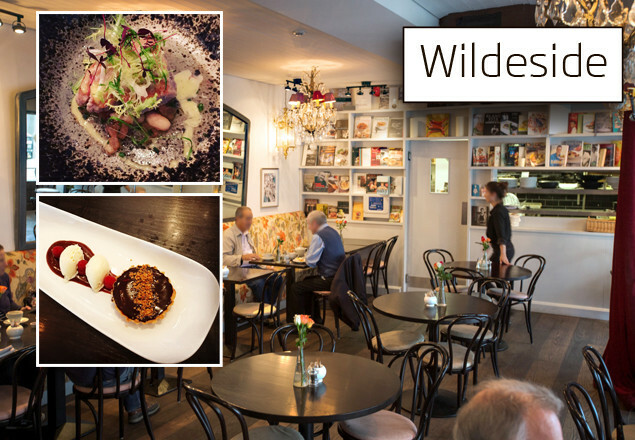 Wildeside, as featured in Sunday Business Post 101 Great Irish Restaurants, prides itself on beautifully presented & delicious food, in relaxed and comfortable surroundings, in the leafy suburb of Cabinteely. What reviewers say about Wildeside…..
Vouchers are valid from 12th April until 14th July 2017 . Vouchers are valid for Wednesday to Friday (limited availability on Fridays) from 6.00 p.m.
Voucher cannot be paired with any other offer. 5 course tasting menu includes four fish/shellfish dishes paired with a glass of wine. Followed by dessert and tea or coffee. Menu as shown above, maybe subject to change’ due to availability of fresh ingredients. There is no service charge. Gratuity is at your discretion.